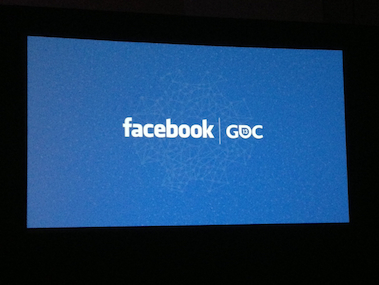 After a “dark time” of balancing unhappy users and unhappy developers, Facebook turned around its gaming unit in 2012, the company said today at the Game Developers Conference in San Francisco. Games will still not be a “primary pillar” of Facebook, product manager George Lee said (that privilege is reserved for the Timeline, News Feed and Graph Search). But they will be increasingly woven into the “whole experience,” starting with games-focused sections of the new News Feeds and Timelines that the company has started rolling out to some users. At the end of 2011, the company huddled on how to make both users and developers happy. “We think we’ve reached a balance right now,” Ryan said. A few quick-hit numbers from Facebook’s presentation: 250 million monthly active users play games, amounting to one-fifth of all the people who visit Facebook each day; compared to March 2012, game installs are up 75 percent; and monetization has also increased, with Facebook paying out more than $2 billion to developers last year. Ryan also laid out the company’s goals for 2013, which include desktop (“We care about desktop because it’s big, and it’s growing, and we can make it grow faster”), more cross-platform games that players can enjoy equally well on both desktop and mobile, and broadening the types of games available on Facebook’s sites and apps. More than half of the Top 400 iOS games are integrated with Facebook, a spokesperson noted via email.